In the next step, the dentist takes an optical impression of your tooth by applying a tasteless, harmless powder and using a digital camera to take a photo. The image is processed in the CEREC Acquisition Unit, and is turned into a 3D model. 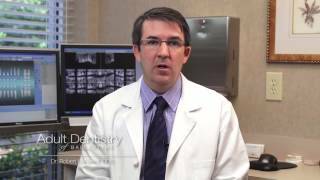 The dentist then designs a dental restoration using that 3D model. Once the restoration design is completed (about 20 minutes), the blueprint is sent to the CEREC Milling Unit. 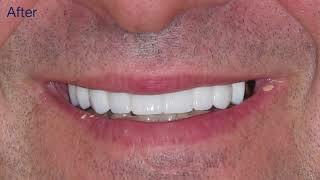 A ceramic block, in a color similar to your teeth, is then used to create the dental restoration. This process also takes about 20 minutes. Once the appliance has been created, your dentist will check it for fit and size by applying it to your tooth temporarily. 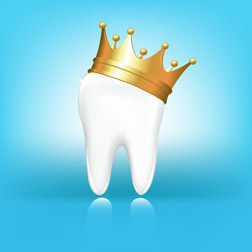 After checking that it’s okay, the crown will be polished and then bonded to your tooth permanently. Now you can see why CEREC crowns are also known as Same-Day Crowns. One visit, in and out, and your smile is restored to its proper brilliance. If you are interested in receiving CEREC Same-Day Crowns, or are in need of any type of tooth restoration, call us today at 704-541-9888 or use the contact form on this page to set up a free, no-obligation smile consultation with Dr. Robert Harrell. At your exam, a complimentary digital smile preview (an $85 value) will be created to show how your smile will look when your treatment is complete. 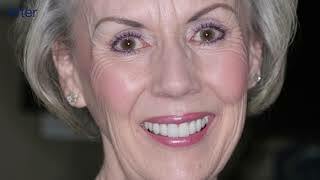 Can you imagine life with a stunning smile? Set an appointment with us and you’ll be on your way.